About four weeks ago, I embarked on a 5-Day/ 4-Night journey to discover Selangor. 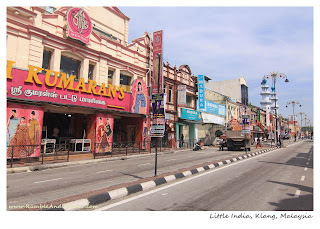 Some of you might recall what I wrote here about how despite living in Shah Alam, the state capital of Selangor, I didn’t get to explore the city much, let alone the whole of Selangor prior to me moving overseas back in 2007. That is now however my ‘old’ Selangor story. Thanks to Tourism Selangor for selecting me to be one of the top 20 bloggers from Malaysia and Indonesia to join their My Selangor Story 2013 programme, I recently got to travel around Selangor visiting places I never thought I would. Together with 19 other bloggers, I explored what Selangor has to offer. We visited historical places in Klang, we learned the history of the royal family. We tasted the flavours of ethnic Indian culture and food in one of the largest Little Indias in Malaysia; and we had fun at Sunway Lagoon, easily one of the largest theme parks in the country. We went to KLCC and then checked Chinatown out very late at night before getting up very early the next morning to join hundreds of thousands if not millions others for Thaipusam procession in Batu Caves. We went back to basics, doing yoga & cycling around quaint villages and along white sandy beach in Bagan Lalang; and also went back to nature, playing with the ever playful silver-leaf monkeys at Bukit Malawati. We were also left in awe watching thousands of fireflies lighting up the riverbanks in Kampung Kuantan under the full moon even though none of us could capture them in photos. In between, we grew closer to each other as we learned about each other’s background, culture, local language and dialects and of course, about places of interests to be considered for our future travels. We also stayed at some of the newest and coolest hotels in town, and yes, we also stayed at an amazing resort too. Historical buildings. Modern architecture. Culture. Theme park(s). Food. Religious festival(s). Shopping. Nature. Hotels. Resorts. Selangor does have it all. And that, in essence, is also my 'new' Selangor story. Thank you Tourism Selangor, the organiser of My Selangor Story 2013 (incl. Ms. Alison Wee, Ms. Chai Pooi Hang, Ms. Lau, Mr. Safri & Mr. Ramli) and all sponsors (incl. AstuteXperience, Sunway Lagoon, Premiere Hotel, Arenaa Star Luxury Hotel, Golden Palm Tree Iconic Resort & Spa and Vivatel) for making My Selangor Story 2013 a reality, not just for me but also for 19 other bloggers from both Malaysia and Indonesia. 01 – Let the Adventure Begins! aaah no wonder you've been MIA, busy writing and reviewing here and there.. congrats for winning..belanja!